Two Americans and an Israeli won a Nobel Prize in chemistry Wednesday for creating detailed blueprints of the protein-making machinery within cells, research that's being used to develop new antibiotics. Venkatraman Ramakrishnan, Thomas Steitz and Israeli Ada Yonath will split the $1.4 million award for their atom-by-atom description of ribosomes. Yonath, 70, is only the fourth woman to win the Nobel chemistry prize and the first since 1964. Ribosomes are key to life. They use instructions from genes to make thousands of different proteins that control what happens in the body. Many antibiotics kill bacteria by attacking their ribosomes, and the detailed descriptions by new Nobelists are being used to develop new drugs. 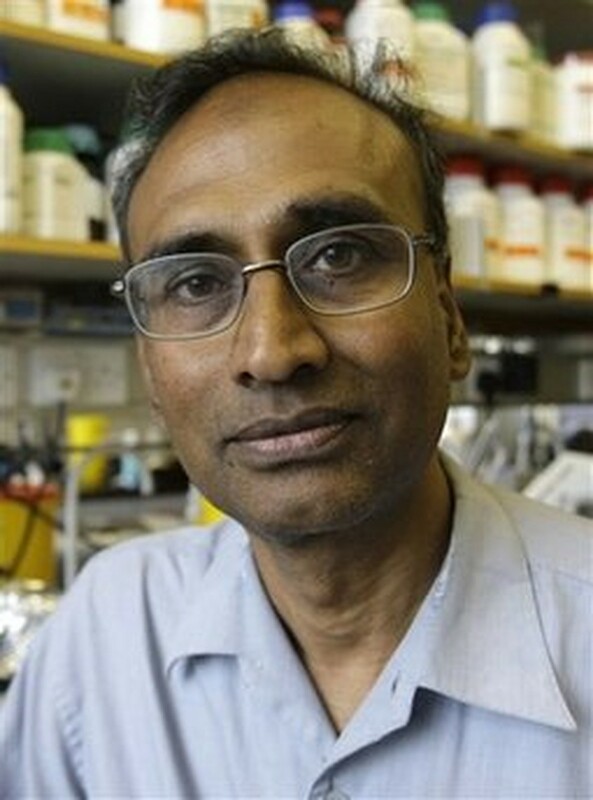 Joint winner of the 2009 chemistry Nobel Prize Venkatraman Ramakrishnan, sits in his lab at the Medical Research Council Lab in Cambridge, England. The three scientists worked independently and published their results virtually simultaneously in 2000. "I didn't feel it was a personal competition, but it was a bit of a race," said Steitz, 69, a professor at Yale. "We were all taking separate approaches." Yonath told Israel Radio she didn't think her gender played a role in her Nobel win. "It's true that a woman hasn't won since 1964. But I don't know what that means — does it mean that I'm the best woman since then? I don't think that gender played a role here," she said. Yonath, the ninth Israeli to win a Nobel, works at the Weizmann Institute of Science in Rehovot, Israel. Ramakrishnan, 57, is at the MRC Laboratory of Molecular Biology in Cambridge, England, where he went after working in the United States. Ramakrishnan said he wasn't convinced when a caller from the Royal Swedish Academy of Sciences in Stockholm told him he'd won a Nobel. "I thought it was an elaborate joke. 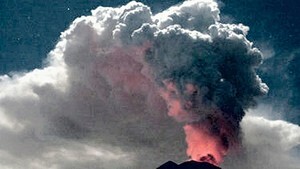 I have friends who play practical jokes," Ramakrishnan told The Associated Press by telephone from his lab in Cambridge. "I complimented him on his Swedish accent." The academy called Yonath a "strong-willed pioneer" for starting on the quest in the 1970s, when most people thought it would be impossible. She, and eventually her co-winners, used a technique called X-ray crystallography to try to pinpoint the positions of individual atoms in the ribosome. Basically, that technique involves showering the ribosome with X-rays and determining how the rays scatter. Steitz, like Ramakrishnan, entered the field later. "It seemed to us a bit like trying to climb Mount Everest," Steitz said. "We knew it was doable in principle, but we didn't know actually whether we were going to be able to get there, and we didn't know exactly the route through which we should travel." Solving the problem was "the most exhilarating moment I've had in science," he said. A detailed description of the ribosome is important because it gives insights into how the structure works, said Rachel Green, who studies ribosomes at the Johns Hopkins University School of Medicine in Baltimore. "You want to know how this machine works, you want to look on the inside to see where all the parts are ... how it's put together and what the implications are of that structure for function," Green said. The physics prize on Tuesday was split between a Hong Kong-based American scientist who helped develop fiber-optic cable and two Americans who invented the "eye" in digital cameras.